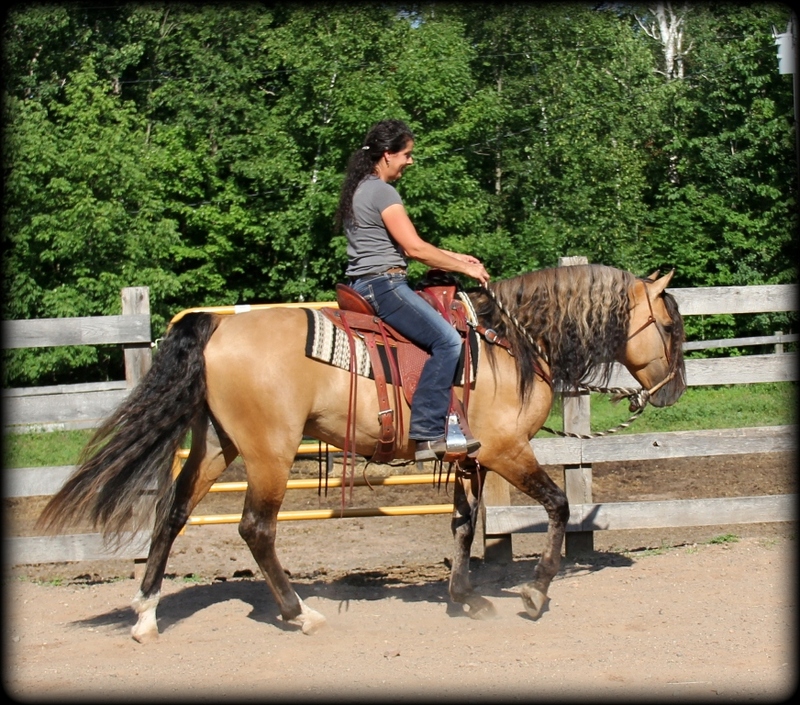 Visit the "Breeding Your Mare" page if you have interest in breeding your mare. 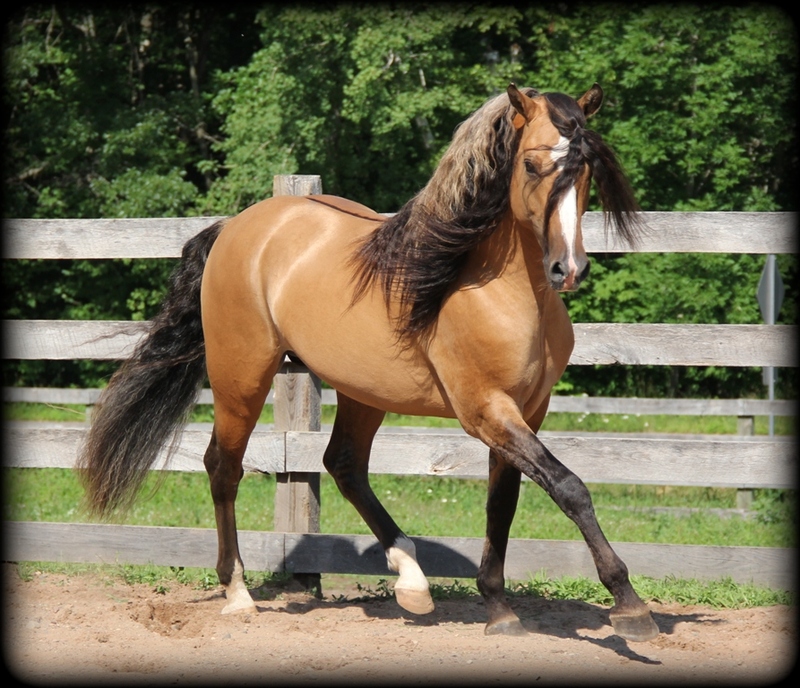 Visit the "Coat Colors" page to see foal color possibilities with your mare. 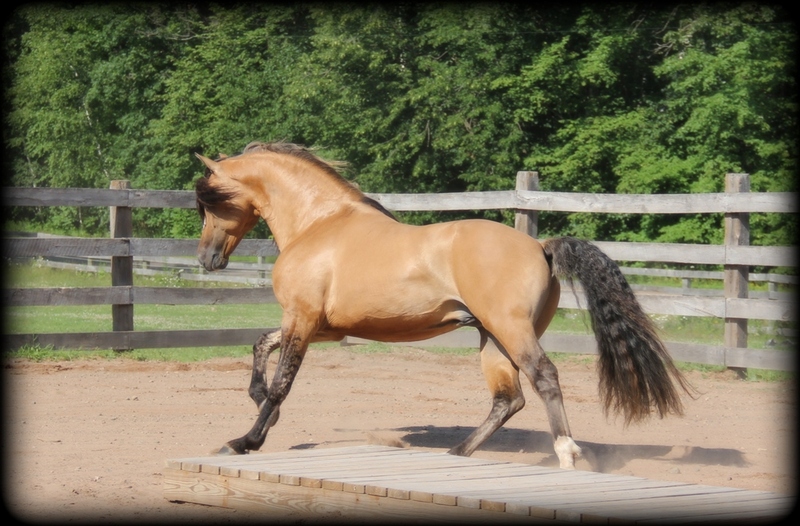 Blaze is simply an amazing stallion . . . anyone who has come to the farm to meet our Morgans is always captivated by Blaze. He comes trotting over to the fence with warm greetings, and you are approached by this big incredibly beautiful stallion with thick mane an tail flowing everywhere. 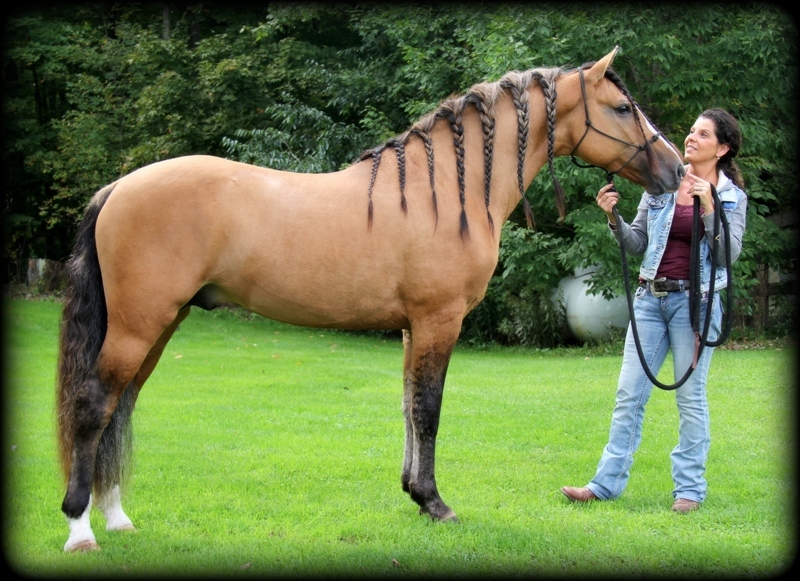 Everyone comments and loves his big wild hair and the unique frosting he has, along with how friendly and quiet he is for a stallion. His exotic stripes and blaze on his beautiful head are icing on the cake. After you're drawn in by his look, his personality and temperament seals the deal. He is quiet and willing with a twinkle in his eye. He is happy about life and looks forward to the next adventure. Blaze is a natural athlete showing so much versatility. In the pasture I've seen him light on his feet with that classic showy Morgan movement and I've seen him come to a sliding stop, spin and head off in the correct lead. 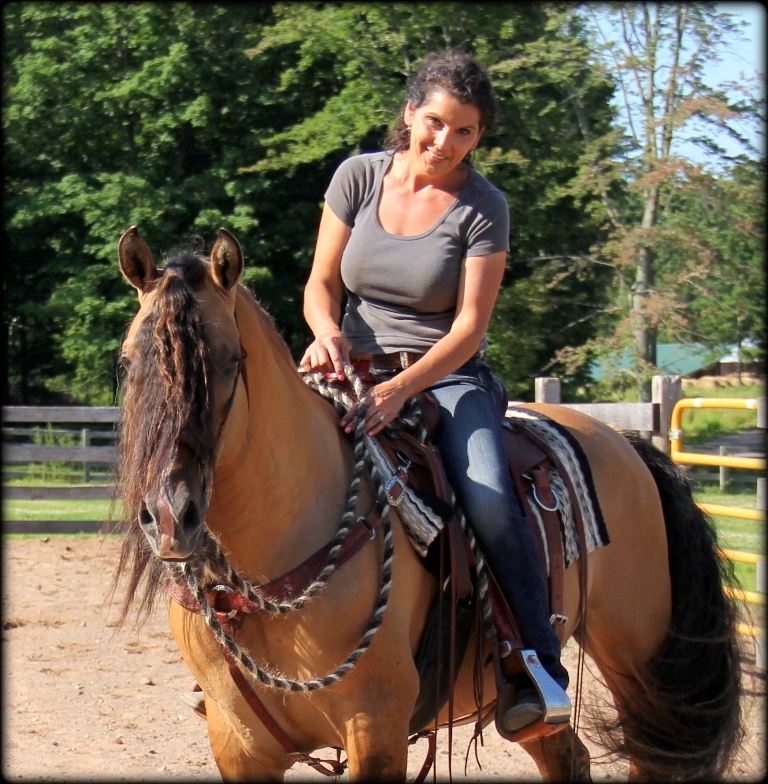 I have ridden Blaze a few times now and plan to make time to bring his saddle training along. He is a pleasure to work with and we are over the moon happy with the foals he is siring! Blaze foals are a delight! He seems to stamp his wonderful traits into his foals and puts size on the mare. 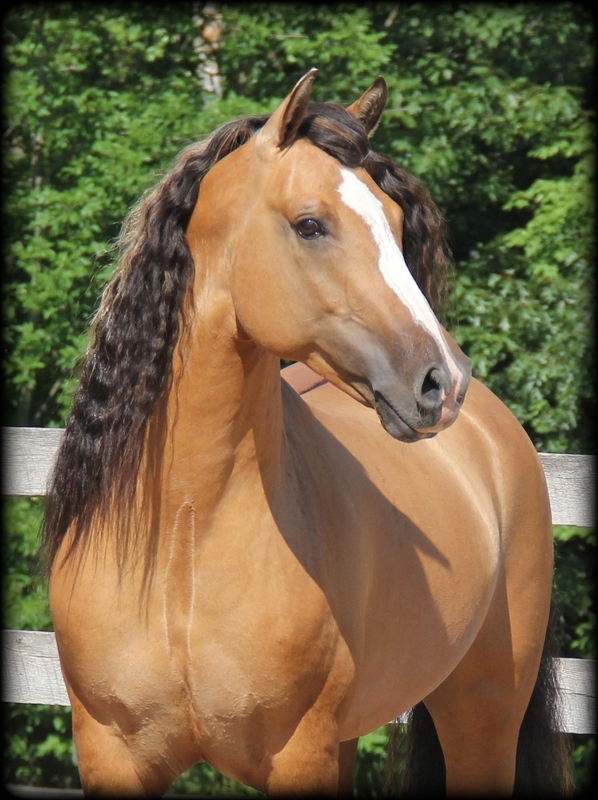 "We are so happy to be helping the Morgan breed grow with such an outstanding stallion. 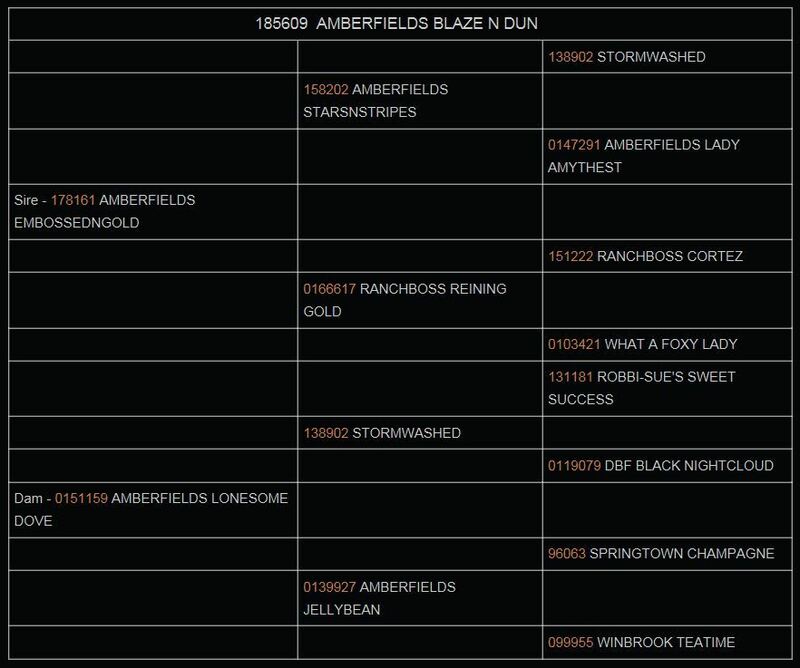 Below is a slide show of Blaze foals. 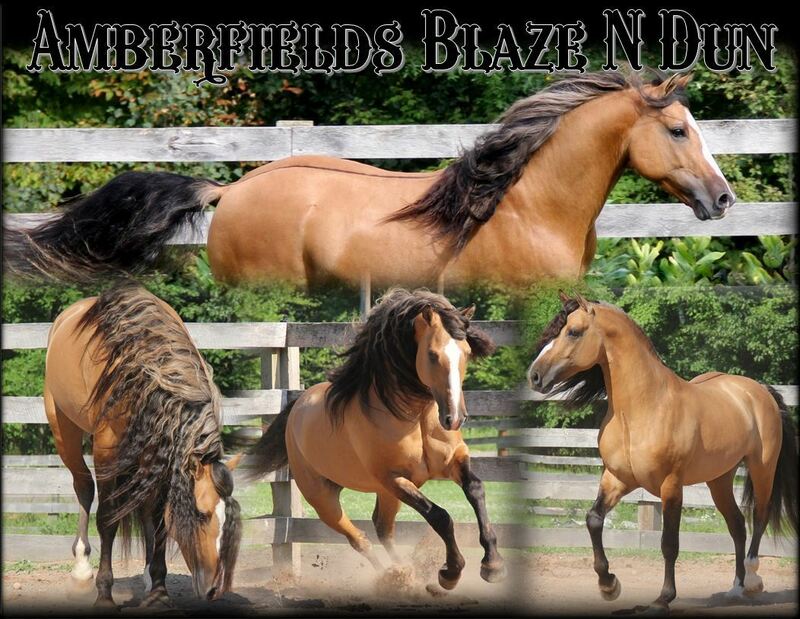 If you are dreaming of a Blaze foal... contact us and we will do our best to make your dream come true :)"